I loveeeeeee a good rich delicious fudge! I feel like the story of my last 4 months have been making things I've cut out of my life when being diagnosed with my allergies and then all of a sudden got this intense need to vegan-ize all these fantastic recipes! Look at those salt flakes! Look at those fudge swirls! 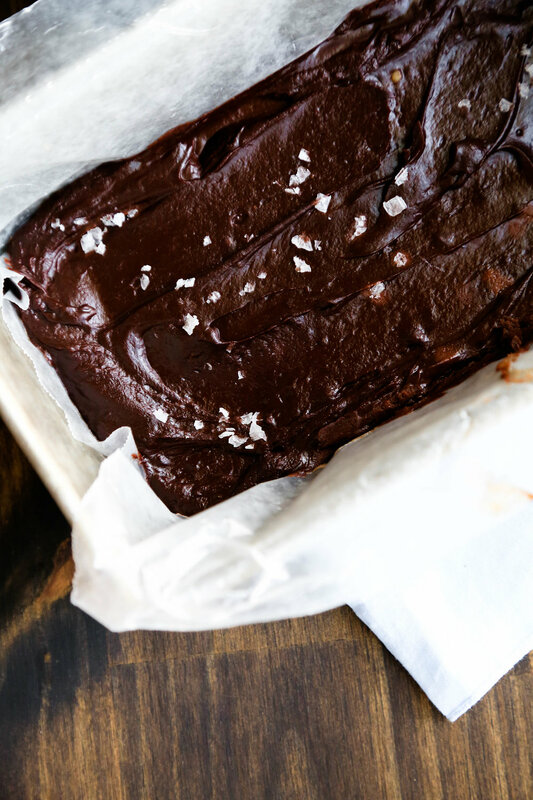 This vegan fudge is a perfect addition to your holiday party or just a nice sweet treat after dinner! Let me know if you try it out and tag me in your posts!